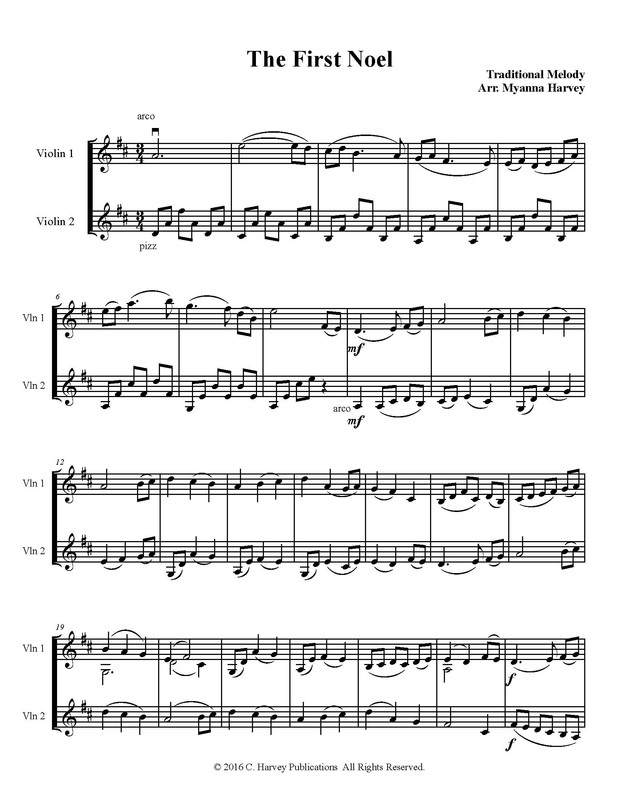 Myanna Harvey's lush arrangement of this traditional carol for two violins gives musicians lyrical melodies interwoven with accompanying pizzicato sections. Playable by late-intermediate through professional-level violinists, this is appropriate for church services and Christmas concerts everywhere. Note: This is a file that you can download to your computer and print on your printer, not a printed book that ships.